The Little House facility is a four-acre wooded property in Damariscotta, Maine, containing a diverse ecosystem of pine forest, wetlands, ponds, bog, and a small farm. The key goals of Little House School are to provide a nurturing, enriching environment in an outdoor classroom setting, supported by a small, simple cottage in the wood. Class size will be kept small to ensure adequate nurturing and support for the students. The school week and the length of the school day (8:30-2) is intentionally short and tailored to allow students adequate down time and rest between sessions. The principal (provider) Kimberly Sampson has a long history in childcare and education. She has run several small family programs in Rockland, Rockport, and most recently at Juniper Hill School in Alna. "Our daughter treasures her time at Little House School and comes home full of wonder and excitement every day she spends there. Miss Kimberly is counted among her dearest and most loved circle. 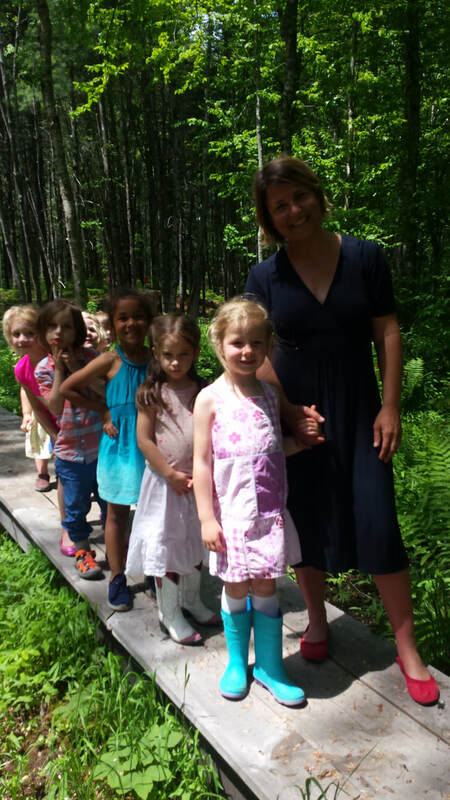 We love the opportunity she has at Little House School to encounter, explore, and understand the natural world and are delighted that she carries those experiences into the rest of her life and shares them with us."